“As you KNOW, understand and believe in your whole reason for being present on the planet, everything changes. You feel content and self validated. 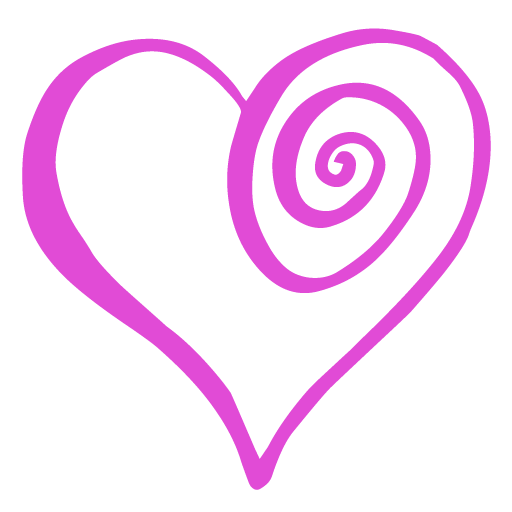 You role model a balanced, love centred existance that inspires others to do the same. True confidence is linked directly to your connection to your Soul Gift. When you have the full body knowing of your reason for being here, you make choices and decisions that really work for you. You build the courage that stabalises your world as you shine your unique brilliance and make real valuable contributions to your own life the lives of others and the wellbeing of others. 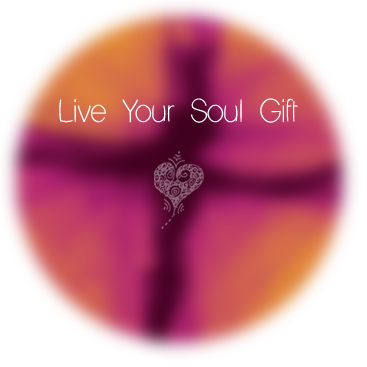 The activation and vibrational upgrade you need to express your Soul’s Gift the way you were born to. . . . is here. There are new aspects of your potential and purpose waiting to be realised and known. Now is that time. There are plenty of tomorrows that go unfulfilled and the same discontent haunts you if you don’t do what you are ready to do, and find out what that is. Trust is the muscle you’ll have really toned on completing this package. Lack of trust comes from fragile connection to your purpose and soul. No one else has your particular contribution to make. And your contribution is one piece of the puzzle vital to the picture being complete. True peace, passion, and harmony is found when you fulfill your soul purpose and mission. It’s the thing that really lets your heart sing and fills your life with the contentmet and joy you seek. It really doesn’t exist anywhere else. Why is the calling so strong now? Say Yes to your Soul and Start your next chapter Today. With this package your three steps are all taken directly with Grace. These in person meetings are via Skype or in person. We schedule each 75 minute session on your purchase of the package. There is a minimum 7 day interval between sessions. This ensures you have fully integrated each step, before embracing the next level. Please be aware, you require audio and video on your computer. It is not possible to hold these sessions via landline phones. Steps 1 and 2 are provided as on line videos and support material. Step 3 is a personal Skype call with Grace Ambrook. Steps 1 and 2 include a detailed video which you watch in the comfort of your home and in your own time. Support material in pdf file form is given. Step 2 is delivered to you, seven days after you have completed Step 1. After you have completed Step 1 and Step 2, we schedule your SoulSignature call. Prior to your personal SoulSignature session, I invite you to answer some questions via email to see how you’re progressing. Step 3, the SoulSignature Session happens via Skype. (You need audio and video on your computer.) It is not possible to hold this session via land line phones. 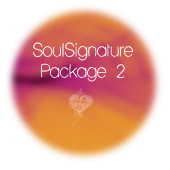 What's in the SoulSignature Package? The alignment step is more than preparation. It is alignment. 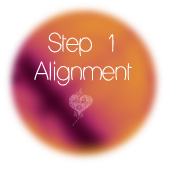 You learn three tools to maintain and build your energy and consciousness to be in alignment with your gift. Then you begin to open to the full acceptance of your unique brilliance. You leave with three tools to maintain and build this congruency with your higher frequencies. These are practical tools that translate into managing everyday life with greater clarity and confidence from a centered place. You feel clear and empowered. Already within you are the light codes of your full expression of your Soul Gift and in this session those light codes are activated. The blocks and saboteur standing in front of these codes is cleared and you are able to remain aligned to the activated light codes within using the alignment tools you learn. We explore and unfold, bringing light to the shadow and empowering activation of the Divine within. You feel on track and confident. This is an amazing session. In a clear sacred sanctuary you give me permission to talk directly with your Soul and Celestial Guides. Your fields of possibilities and potential, dance into this reality and your Soul Gift emerges. As the session progresses the dots join together and the realisation of your unique brilliance becomes your first nature. The light goes on and the sensation of truth through your body leaves you confident and clear in your future direction. You feel inspired, excited and grounded in your truth. Now is the Perfect Time to Answer the Call.